Last week my spouse and I took a mini-vacation to the Inner Harbor area of Baltimore. While walking over to visit the National Aquarium I noticed a pile of twisted steel girders outside a tall building. 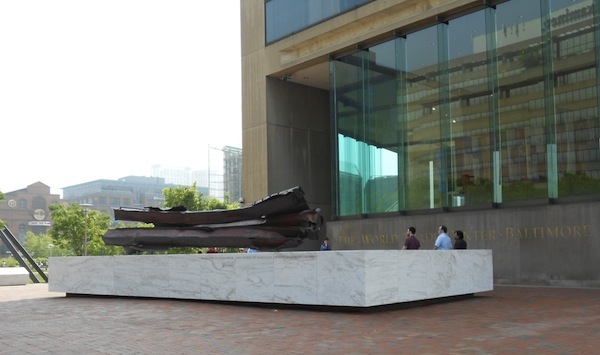 The building turned out to be the Baltimore World Trade Center and the girders were part of a memorial to the 68 Marylanders who perished as a result of the 9/11 tragedy. While I continued walking, my mind returned to what I was doing and where I was on that fateful day. Whenever I think back, it is always with an overriding sense of sadness.